What Can I Gift My Best Friend on Her Birthday? 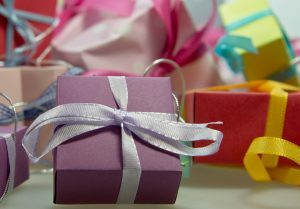 Home » Latest News » What Can I Gift My Best Friend on Her Birthday? “What can I gift my best friend on her birthday?” – If you have been racking your brain trying to find the perfect gift, keep reading the latest blog post from Solid State UK for helpful tips and tricks. You may have known your best friend since you were both young enough to fall over without it being embarrassing, you may also know her favourite ice cream flavour, scent and outfit, but when it comes to birthdays, finding that perfect gift can often be a tricky challenge. As well as the expectation we often put on ourselves to come with something that tops last year’s’ gift, as best friends, we also want to ensure our gift is one that is used and loved as much as any other. Does your friend like trying new things? What do you both have in common? Once you have these answers, you can work out the best kind of experience day for her, or gift an appropriate gift that she can use as time goes on. What can I gift my best friend on her birthday when she has everything? We all have at least one person in our life that seems impossible to buy for. They have all of the gadgets and gizmos they want and if they don’t, they’ll go out and buy it before you get a look in. When this is the case, experience days and sentimental gifs are the way to go. Instead of booking an appointment, opt for vouchers so that your friend can make use of the experience when she wants it most. When it comes to sentimental items, you’ll certainly know best. Consider any personal memories you both treasure or any other big events that are currently happening in your best friend’s life at the moment. If she’s about to start a new job, consider getting her a luxury stationery set, or a personalised cup with a photo of the two of you, or her favourite quote, helping to calm any first day nerves. Here at Solid State UK, we have been organising special events and birthday parties for many years. Whether you require furniture hire, dance floor hire props for those finishing touches, we can help. Please contact our team today on 0116 2885956 or head over to our online contact form, fill out your details and we’ll be in touch shortly.